In the 1970s, I took a careful look at Oreos. Not the cookies themselves, mind you, but the way they were sold; I was an econometrics student at the University of Antwerp, in Belgium, and I was studying the effects of advertising and pricing on the sales of Nabisco’s famed sweets and those of its competitors. It didn’t take me long to realize that the impact of advertising, even though positive, was much weaker than that of price changes. So why was Nabisco spending so much on ads? That’s when I first understood businesses weren’t taking full advantage of the data available to them in marketing their products. Rather than relying on hard numbers to calculate the best way to turn consumers onto Oreos, Nabisco was guessing, just like everybody else. I wondered, could science help marketers understand what works and what doesn’t? Today, that question, which I wasn’t the first and certainly not the last to ask, has transformed marketing as a profession. Over the past 40 years, the field has shifted from the Don Drapers of the 1960s to a much more analytic approach; advertising has become less of an art, more of a science. Compared to almost all other aspects of business, marketing has been slow to adopt data-driven rigor. This is largely because data in marketing traditionally have been hard to track down. An automotive company always has had reliable numbers on how many cars it manufactures and at what cost, for instance, but data on why people buy certain cars is far more elusive—in terms of how it would be both quantified and collected. As a result, marketing was almost purely conceptual before the late 1960s. There were surveys and descriptive studies of how things work, but almost no scientific testing on real data. 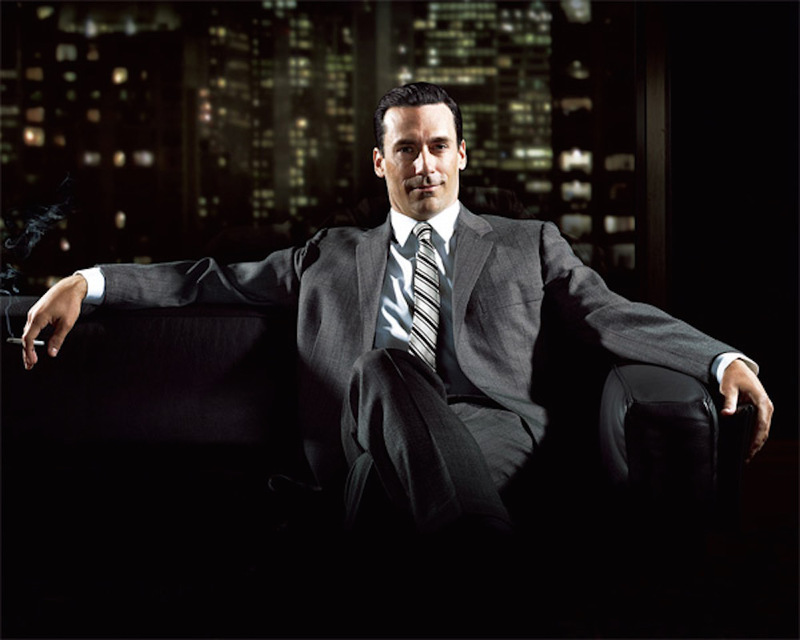 Mad Men captured the spirit well; there were guru-like figures on Madison Avenue who were supposed to create these fantastic advertisements that made everybody buy things. This belief in the marketing genius wasn’t really challenged—and a lot of money was spent in ways that probably could have been spent more productively. There doesn’t have to be a tension between “art” and “science” in marketing. Human beings are very good at certain things; databases and models are very good at others. All this changed right around the time I went to college and graduate school. Business as a whole already had been shifting toward a more scientific basis since the 1930s, when Taylorism, the study of worker behavior under various conditions, became influential in the organization of factory floors, and operations management implemented new mathematical optimization techniques developed for the military during World War II. Arguably the biggest breakthrough came in the ’80s, with the advent of barcode data. That allowed a business not only to track products it sold, but measure the conditions under which people buy particular items in various categories. Manufacturers and retailers could now assess the sales impact of temporary price cuts and other in-store promotion activities, leading to much improved supply chain management. The ’90s brought “customer relationship management” data—tracking loyalty and rewards programs that analyze individual customers’ purchasing habits and tailor marketing strategies accordingly. And now, we have online data, which is so comprehensive that in some cases we can anticipate consumers’ behavior even before transactions are made. If collected, Google searches, Facebook likes, Tweets, etc., can be prescriptive or predictive of what people will purchase and how they feel about certain products. There are marketers who argue that the field expects too much from scientific inference. Some believe every marketing decision is so unique and so purely artful that generalizations about its impact cannot be made. But there doesn’t have to be this tension between “art” and “science” in marketing. Human beings are very good at certain things; databases and models are very good at others. For instance, models are patient and humans are impatient, but humans have an intuitive ability to put things together that models don’t. The solution isn’t having two camps, one for scientific approaches in marketing and one against, but rather recognizing that some things are better done with data and models, and others with human input. Thankfully, not everyone sees both sides as separate. When I gave a presentation on scientific approaches to marketing several years ago at a staff retreat for employees both on the creative and the financial sides of a large marketing agency, I assumed the creative types weren’t going to like what I had to say. But when I chatted with the staff after, it was exactly the opposite; the creative people appreciated the talk the most, because it gave them a sense of boundaries. Since data and models can point to the exact cause of the brand’s poor performance—for example, its products’ quality or price—a more “scientific” diagnosis of a brand’s weaknesses relieves marketers of being blamed for problems they can’t fix. As modeling technologies continue to improve, I’m excited about how these technologies will also begin to integrate. I can picture a not-too-distant future when we have a single dashboard for a range of data streams: A marketer could monitor in real time all the different ways a product is appearing across media, what people are saying about it, and how its price is fluctuating relative to competing products. Tracing these factors in real time would show the marketer the best way to push the product out at any given time—when to tweak ads, when to talk to development engineers about customer dissatisfaction and when to adjust prices. But improving marketing technology also poses numerous ethical concerns. As marketers’ ways of grabbing our attention keep expanding, ads are becoming more ubiquitous—and invasive. They appear everywhere from roadways to our inboxes, and increasingly rely on the personal data we give up online to target our individual habits and preferences. We’re in a transitional phase where all this intrusiveness is too indiscriminate. We need to go more in the direction of permission marketing, where consumers have the right to declare the categories of ads they’re willing to entertain. So, if you’re in the market for a new car, for instance, you could say you’re open to car ads popping up on your screens and on your commute, but then next month it may be ads for vacation destinations. As science continues to shape the way we advertise and market, it’s important to remember that marketing remains a human activity, an intuitive blend of creativity and judgment. We don’t want to replace humans with more rigorous data-driven approaches, but rather help them make better decisions. Dominique Hanssens is a distinguished research professor of marketing at the UCLA Anderson School of Management. He also serves as faculty director of the university’s new Morrison Family Center for Marketing Studies and Data Analytics. Primary editor: Paul Bisceglio. Secondary editor: Andrés Martinez. *Photo courtesy of Christina Saint Marche.